150 of BC's toughest riders headed to the country roads and gravel dikes of Pitt Meadow for the 2015 edition of Jeremy's Roubaix. This annual event, entering into its 12th year, was renamed Jeremy's Roubaix in memory of Jeremy Storie, a Canadian cycling legend who took his own life back in 2013. The weather dished up a variety of conditions, including sun, wind and periods of intense rain, all which added to the character of this event. 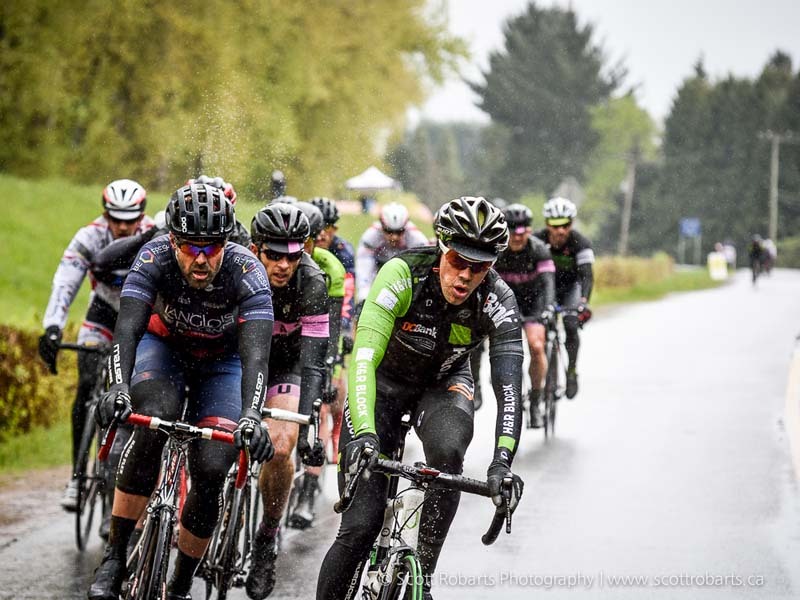 "Riders not only had to battle the tough, gravel section of the course but, when the winds and rain hit, staying warm became a new challenge," commented Race Director Barry Lyster. 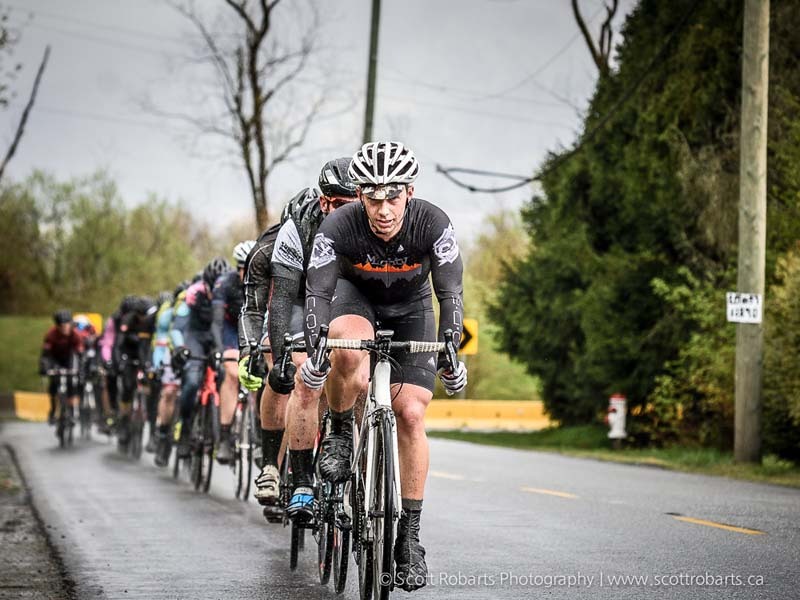 "It also kept the pit crew from Fort Langley Cyclery ready for additional action." The Cat 1, 2 men saw a strong group of riders stay away for the majority of the race. After 120 km, the final sprint came down to Isaac Leblanc (Pro City Racing) and Garrett McLeod (H&R Block Pro Cycling), with LeBlanc taking the win. Danick Vandale (Accent Inns / Russ Hayes p/b Scotia Bank), Jonathan Wood (Langois Bown Racing) and Amiel Flett-Brown (TaG Cycling) rounded out the top 5. A four rider break formed early in the 80 km Cat 1, 2, 3 Women's race. Kelsey MacDonald (Team Giant Vancouver) was first off the dikes on the final lap to take the win, with Maggie Coles-Lyster (Local Ride Racing) taking second and Kristine Brynjolfson (Women's Team Attack) taking third. The Cat 3 Men's category was the largest of the day, with Alex Dove (Mighty Riders) taking the win in front of a hard charging group of racers. Craig Holden (Glotman Simpson Cycling Club) was the top Master 40+, while Brendan Armstrong (TaG Cycling) was the top Junior. Another bonus for the day was the large turnout of youth riders for the event, with Devo p/b Catalyst Kinetics dominating in most categories. In the youth races, Lilly Ujfalusi was the U13 girl winner, with Lief Rodgers being the top U13 boy. Eric Inkster was the top U15 boy, with Devo teammate Elizabeth Gin being top U15 girl. Ben Katerberg (Trail Bicycles) was the fastest U17 Boy. Jeremy's Roubaix was the first race in Cycling BC's Premier Road Series. 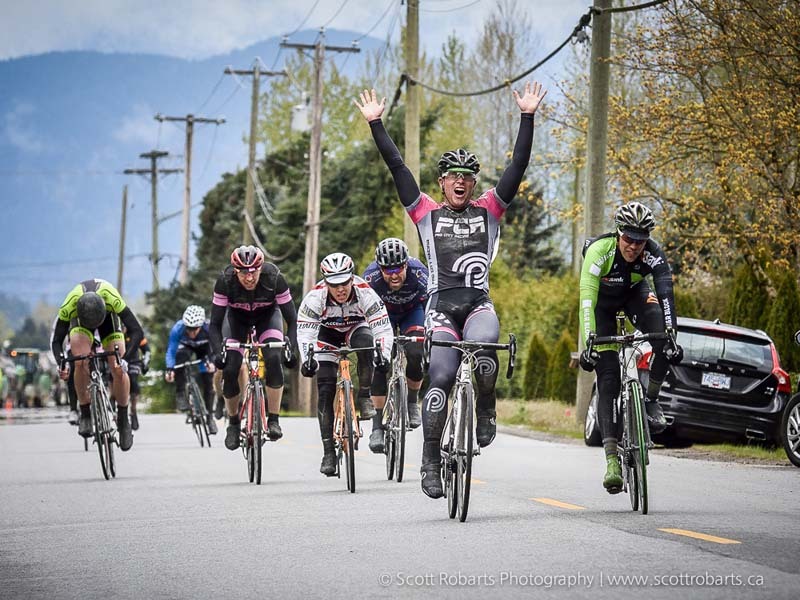 This series consists of seven BC races, including Race The Ridge, Cameron Law Cycling Classic and BC Superweek. The next race in the series will be the Race the Ridge Hatzic Valley road race on May 30th. 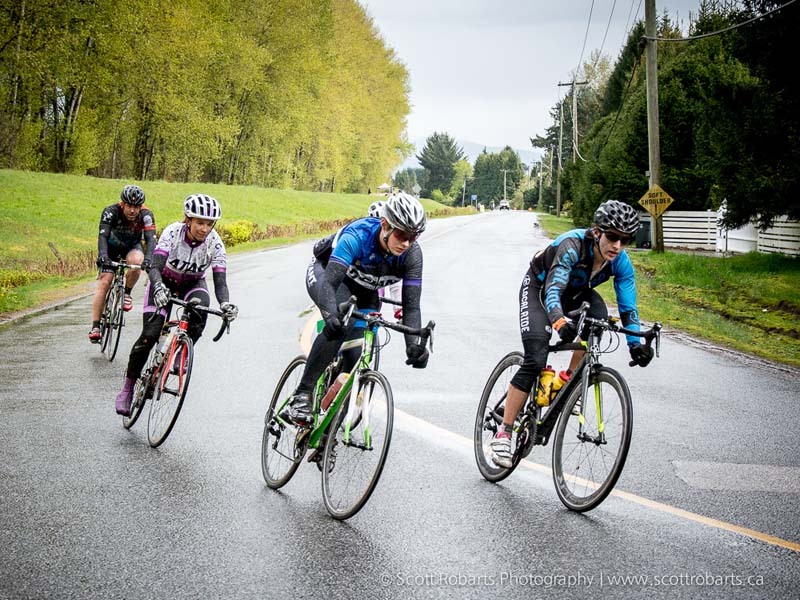 Local Ride Racing would like to thank its sponsors: Colnago Canada, Code Sports, Catlike Helmets, Power2Max, Cycles Lambert, Fort Langley Cyclery, and Kicking Horse Coffee. A huge thanks also go out to Cycling BC, City of Pit Meadows, Metro Parks, race staff and volunteers, Ridge Meadows BMX club, and all the residents of this beautiful community for making this race possible.